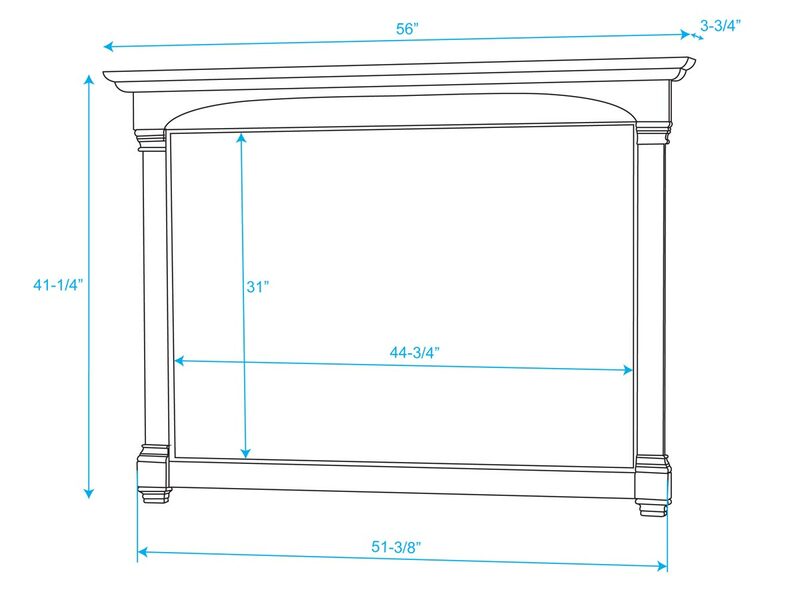 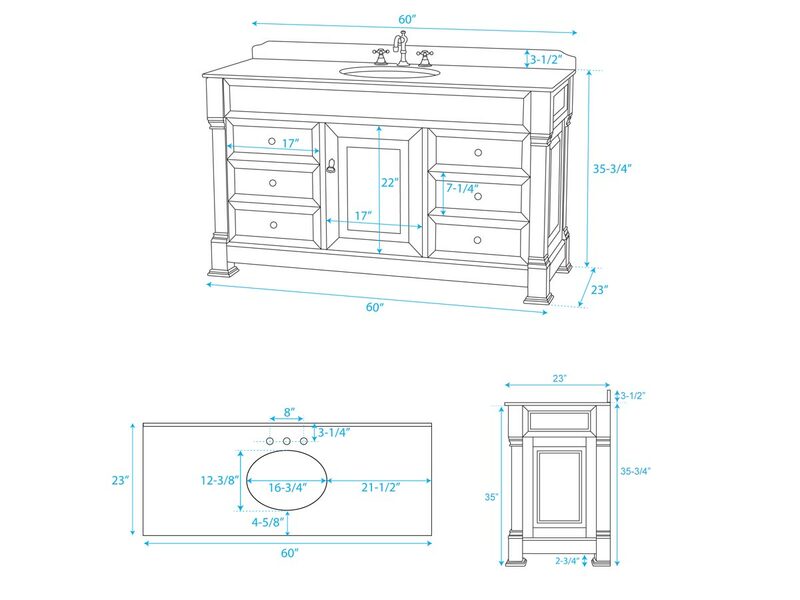 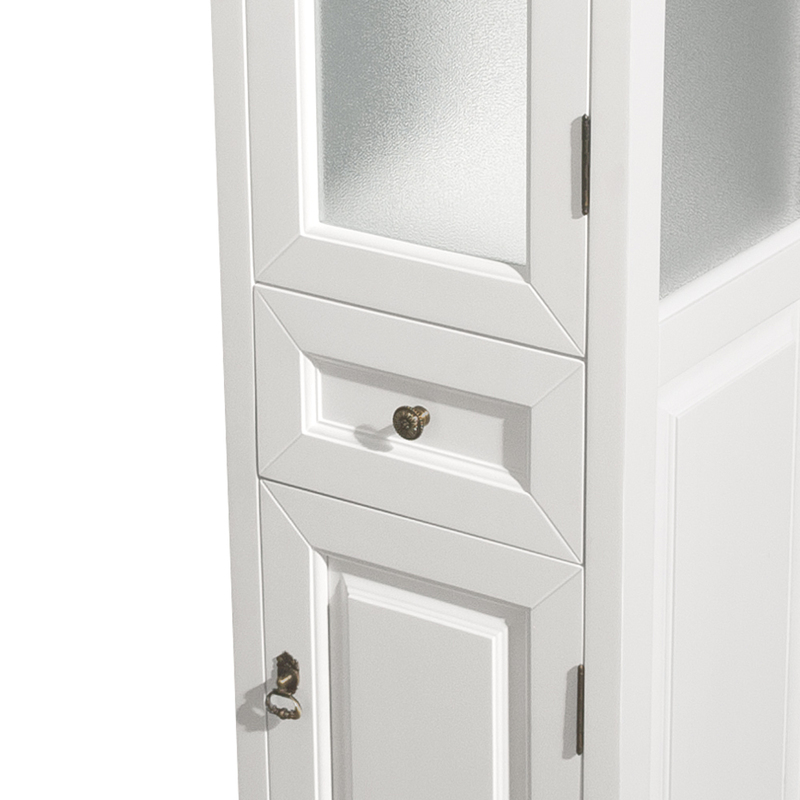 The White finish of the 60" Andover Single Bath Vanity is perfect for brightening the atmosphere of your bathroom. 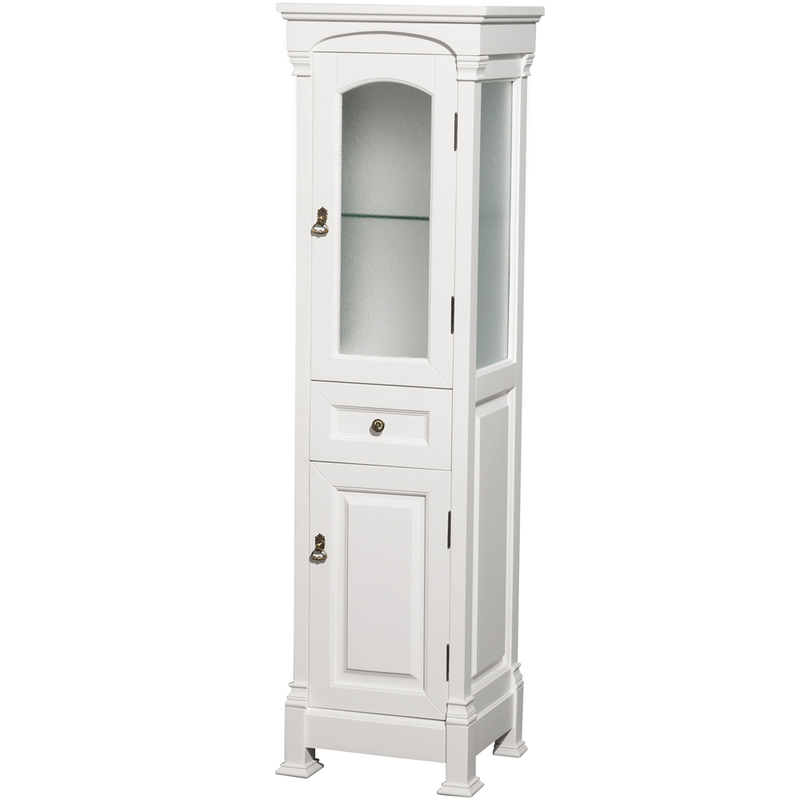 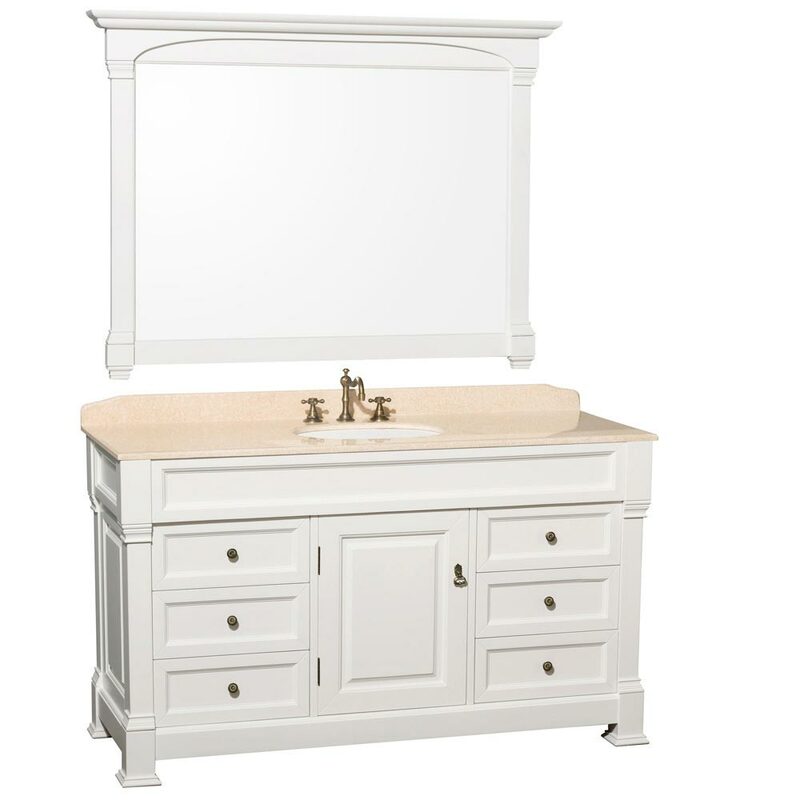 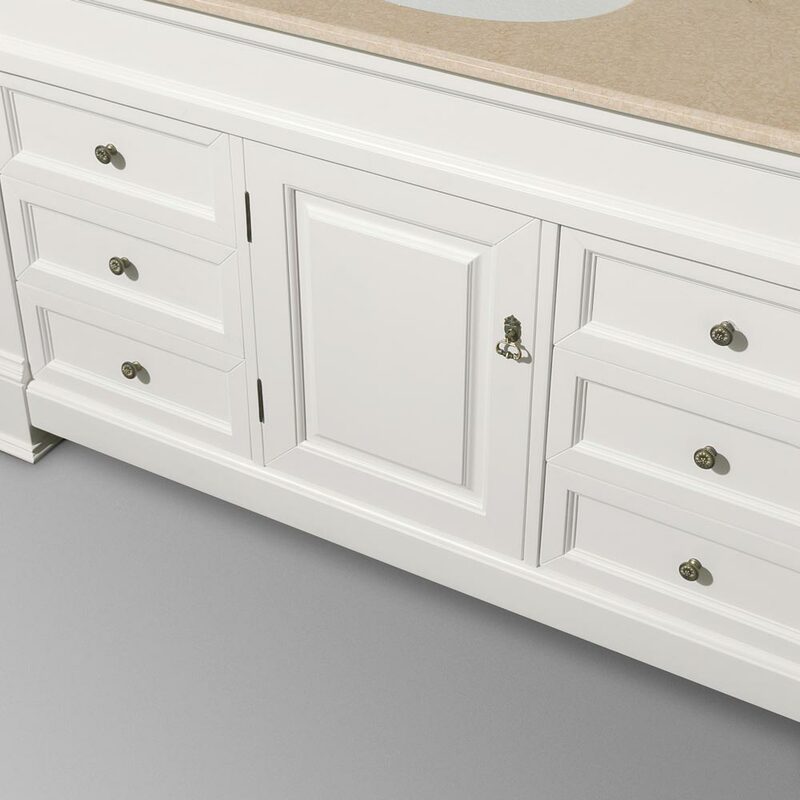 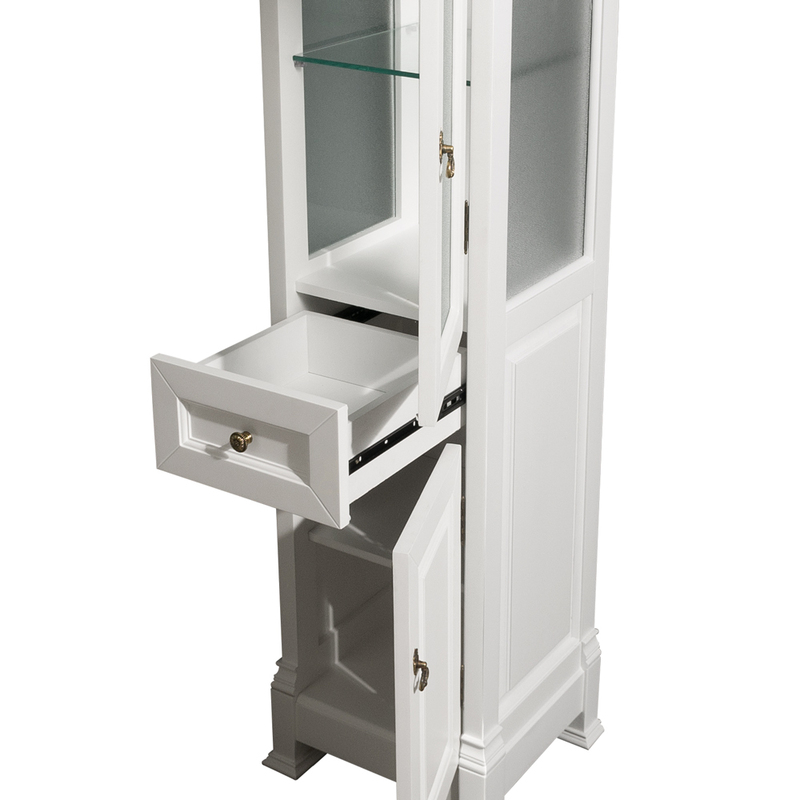 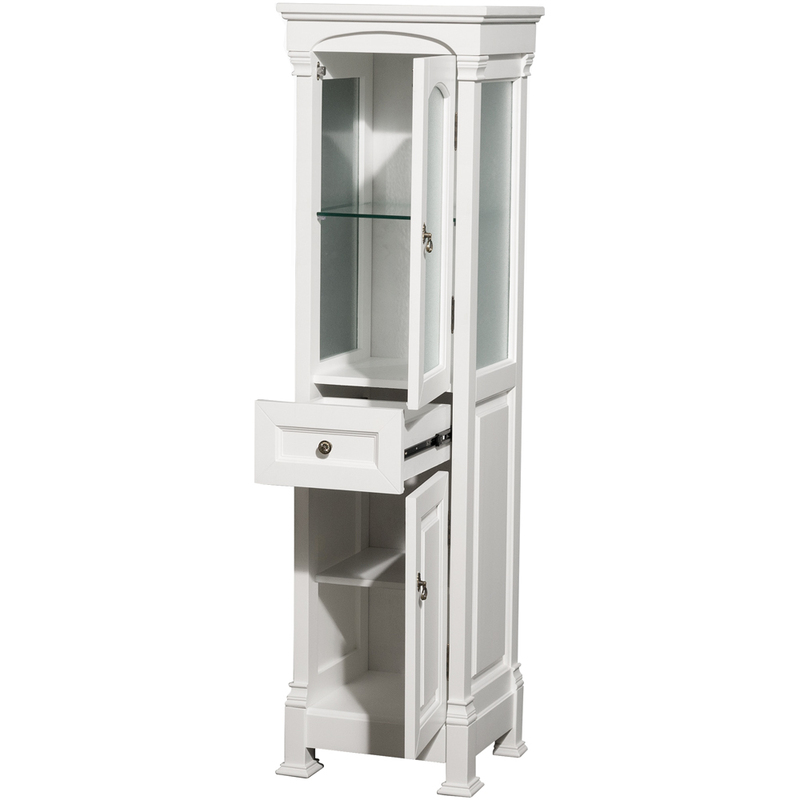 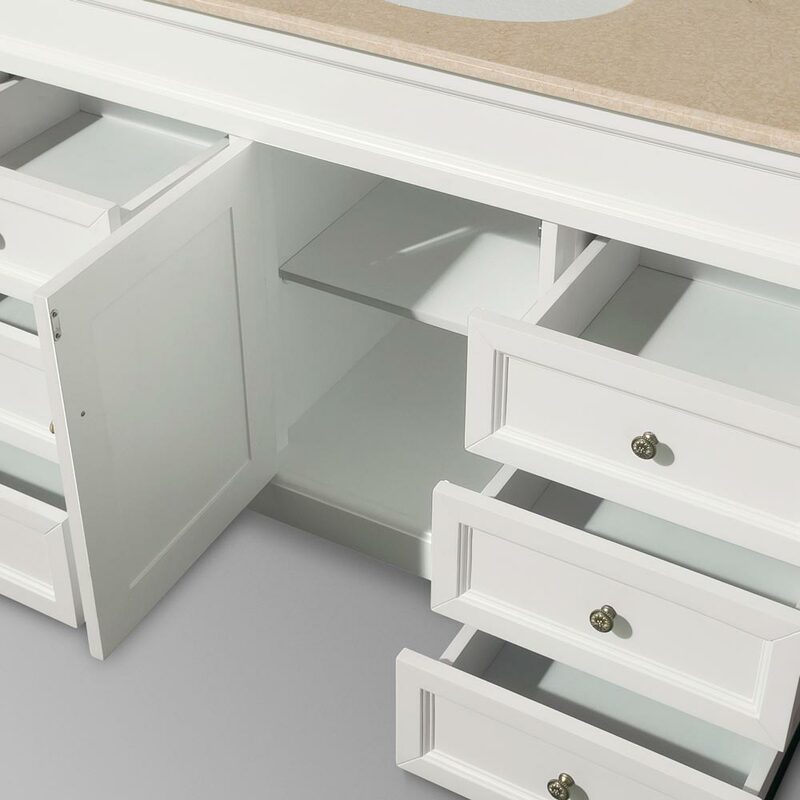 Featuring a sturdy solid oak cabinet finished in White, this vanity offers two beautiful top options, along with a cabinet with two single-door cabinets and three functional drawers. 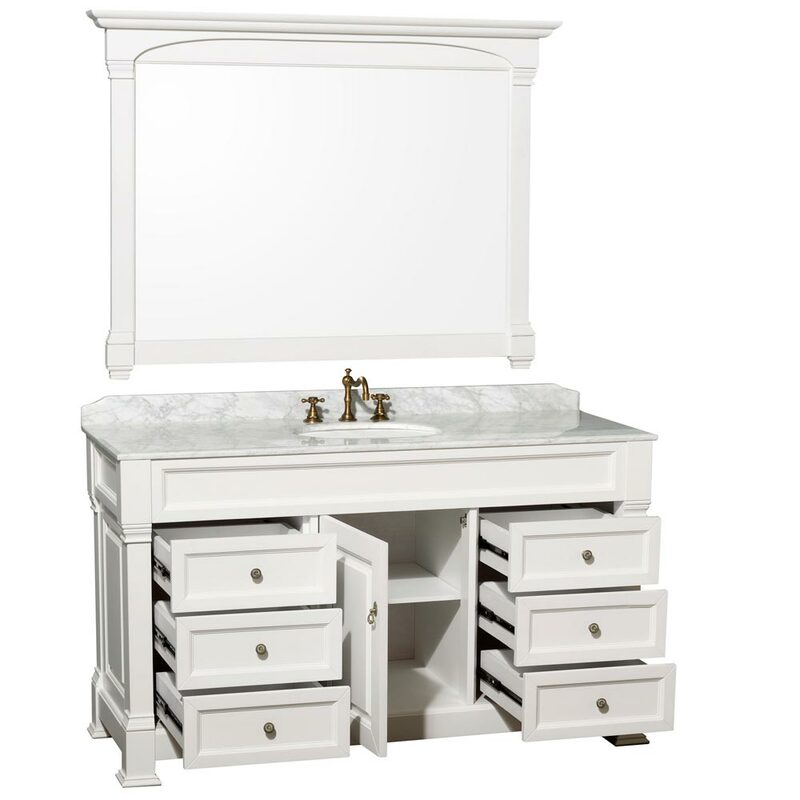 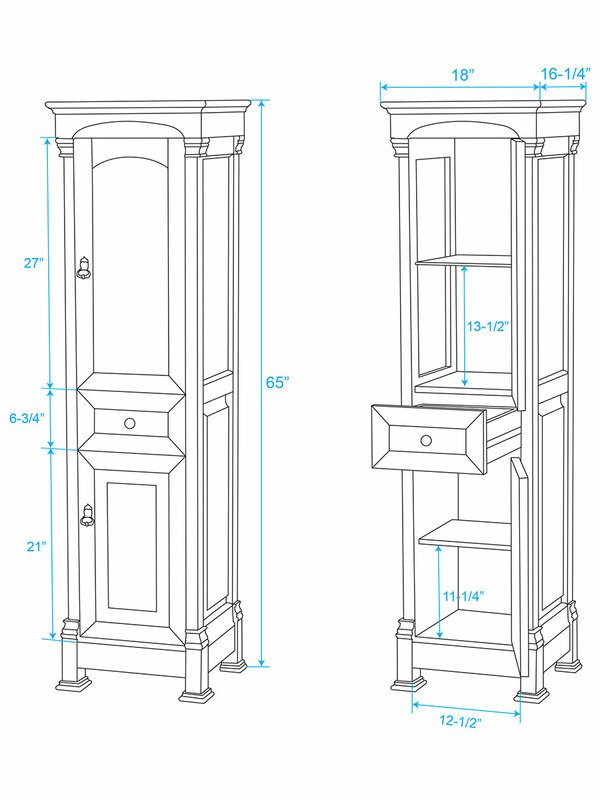 Comes with two porcelain undermount sinks and a matching mirror.